Credentialing is the process of obtaining, verifying, and assessing the qualifications of a practitioner to provide services for a health care organization. Credentials are documented evidence of licensure, education, training, experience, or other qualifications. We understands the credentialing process, rules and regulations of different insurance organizations as well as the complex provider credentialing requirements. We work for various types of medical practitioners, we have established strong, long-term connections and personal relationships with numerous provider enrolment representatives in many insurances. As a result, we are able to save your time and money on what could otherwise be a lengthy credentialing process. The security policy of Talluri Technologies ensures that all information security management requirements are noticed and are performing. We manages sensitive and vital corporate, customer information securely in addition to ensuring its confidentiality, integrity & availability. We have strong commitment in ensuring that the people, process and technology are secure. 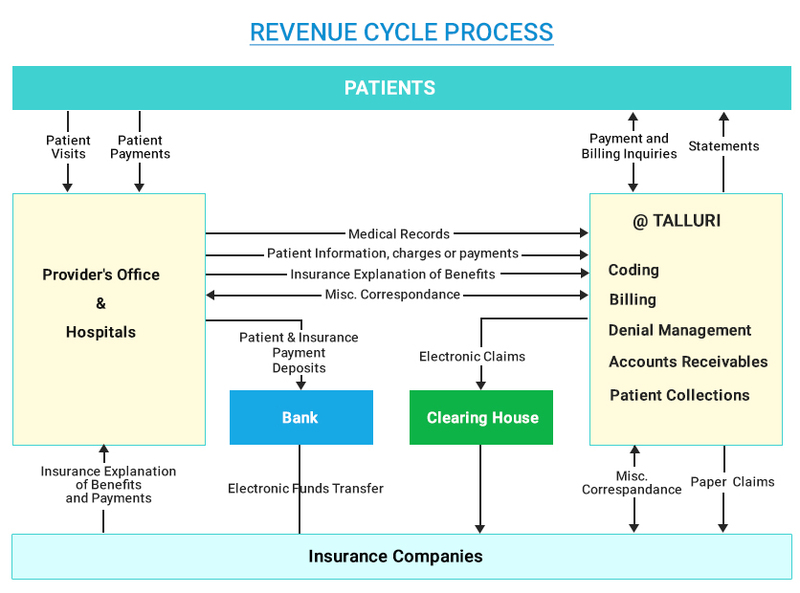 Talluri operations and systems are HIPAA compliant. Utilizing our highly trained and skilled staff, ensure that our clients maintain the highest level of compliance.